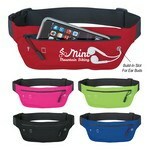 Looking for functional and super fun swag to giveaway at sporting events? 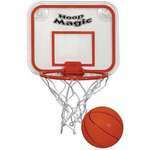 Promotion Pros is the top place online to buy custom sport venue freebies to pass out at basketball games, baseball games, football games and hockey games - any sport you want! We are stocked to the brim with interesting and creative product giveaways for sporting events, and when you pass our products out to sports fans, you'll get your name out there. 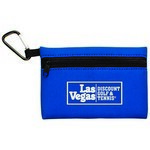 Promotional items for sporting events will put your brand in the hands of thousands of potential customers. Our custom branded Middleweight Adult Poncho features an oversized hood with an adjustable drawstring. The Non-Woven Stadium Cushion can be used for promoting your brand to a large number of sports lovers at stadiums, while adding comfort and ease to their viewing. 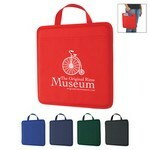 It is made of 80 gram non-woven, coated water-resistant polypropylene, with a front pocket. 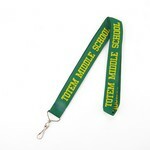 The promotional nylon lanyard with j hook is 37" and will safely hold your keys, IDs, badges and more. Our personalized paracord bracelet comes in many color options. 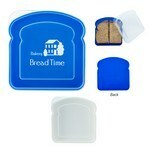 The Sandwich Container is shaped just like a sandwich and comes in pleasant colors including blue or white, all with translucent clear lid. 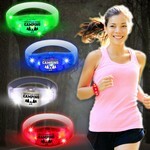 It is said that color is the first sense to be stimulated. 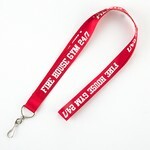 The promotional polyester lanyard with double sided woven logo and j hook is 37" long and secures keys, IDs, badges and more.